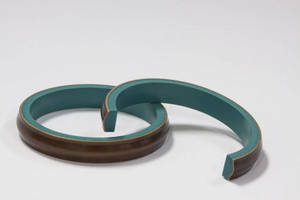 Retaining Rings are suited for thin radial walls. 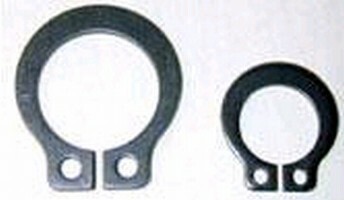 Metric Retaining Rings are intended for grooveless use. Featuring black oxide finish, MKA5DNMGR555... Series comprises 12 off-the-shelf metric spring steel HRC 46-52 grooveless retaining rings. 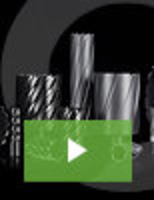 Products are designed to fit 2-20 mm dia shafts, and allowable axial load ranges from 50-750 N. Intended for grooveless applications, rings can be used for external axial assembly. 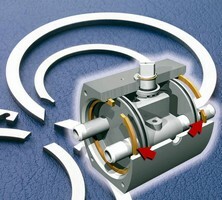 Retaining Rings feature low profile design. 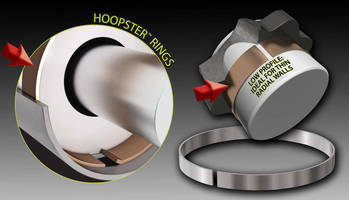 HoopsterÃ‚® Retaining Rings offer low radial profile which will not twist or deform under load. 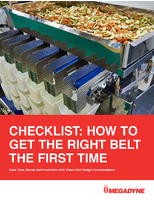 Suitable for thin wall tubes and light to heavy loads, units install without special tools. They are available in standard sizes from 3/8-3 in. and offered in carbon and 302 SS. Snap Rings suit impact loading applications. Specified for automotive and heavy equipment industries and directly interchangeable with EatonÃ‚® rings, XAH, XAS, XDH, and XDS series of Snap Rings come in 300 sizes ranging from .375-10 in. and 13-300 mm. Available in both carbon and 302 stainless steel, they are produced by edgewinding, and specials can be made from .200-90 in. 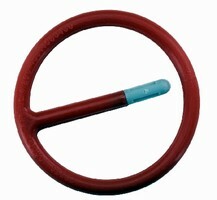 Retaining Ring provides secure lock and safety warning. 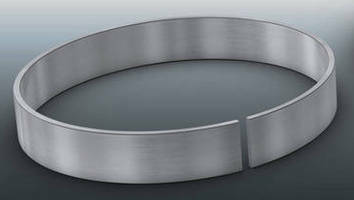 Retaining Rings feature grooveless design.